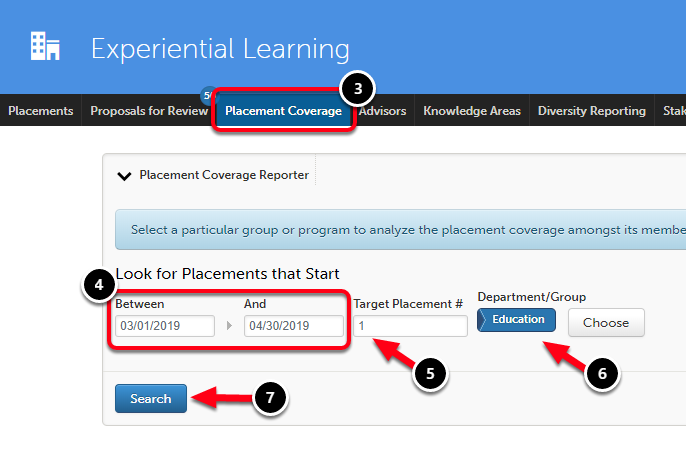 The Placement Coverage tab in Placements allows Administrators to look for anomalies or discrepancies in their implementation of Placements. If a program requires a certain number of Placements, running this type of report will aid in identifying an issue if one exists. 3. 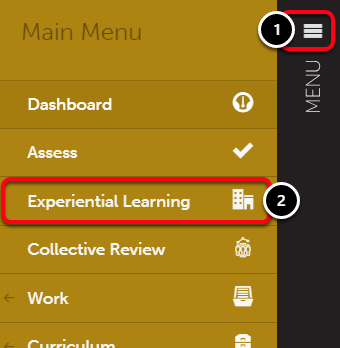 Click on the Placement Coverage tab on the Experiential learning screen. 4. Enter a Date Range in which to look for Placements. 5. Enter a Target Placement Number. The results from your Placement Coverage Report will appear in a table. The table will list all of the users that match your search parameters, along with their target number of placements and the number of placements in the system for that user. 8. Click on the Copy button to copy the table to your computer's clipboard, and paste into a program like Excel. 9. Click on the CSV button to download the report as a CSV file. 10. Click on the Print button to print this screen.